This level has easy difficulty. You will get new purple candy and if you combine four these purple candies you will get four striped candy and combine 5 then you will get four colorbomb and same with wrapped candy and fish. 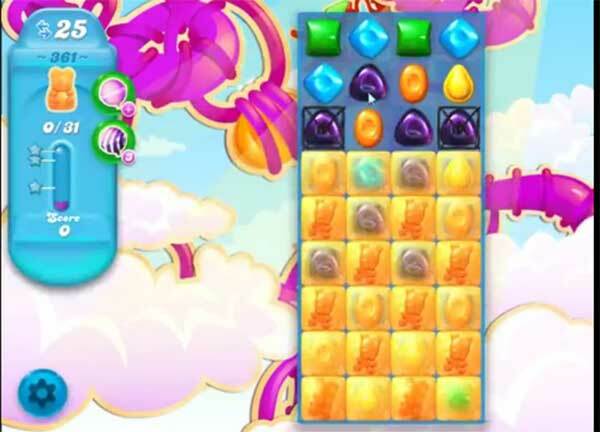 For this level try to combine purple candies or play near to honey to save the bears to reach the target.